So I missed What I ate Wednesday but I have a good excuse. 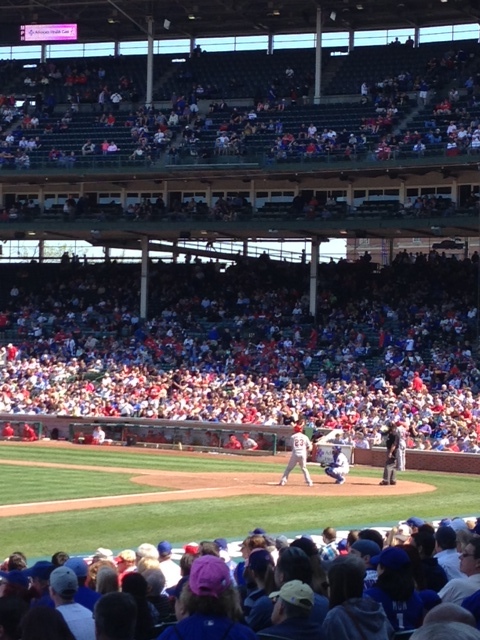 I took the afternoon off and headed up to Wrigley for a cubs/cards match-up. I always try to save my luck for when they are in town and it came through this week with 4th row seats and gorgeous weather. There’s just something about being at Wrigley in the middle of the day that makes you feel like your cheating the system. And it’s awesome. Beautiful day for a ball game! Go cards! What did I eat Wednesday? Peanuts. Salted in-shell peanuts. And lots of them. Welcome to baseball season folks! Growing up my dad and I used to head to Lanphier Park to watch the minor league cardinals affiliate, a bag or two of salted in shell peanuts in tow. After all, a good game is determined as much by the layer of shells under your feet as the runs scored. And lucky for me the Cardinals pulled out a win. I forget how much better it is to watch live baseball than on television. The crack of the bat, the smell of hot dogs and the look of a meticulously-groomed field. And if that weren’t enough, the Duck Dynasty lookalikes seated next to us were pretty entertaining as well. What Finn ate Wednesday Tuesday. A tennis ball. Nearly a whole one. Swallowed it in one full gulp before I could get my hand down his throat to remove it. I was thoroughly annoyed at the owner who was letting his dog lay in the middle of the dog park shredding tennis balls into giant chunks Tuesday night. He wasn’t playing with any dogs. Just laying there letting the rubber fly. 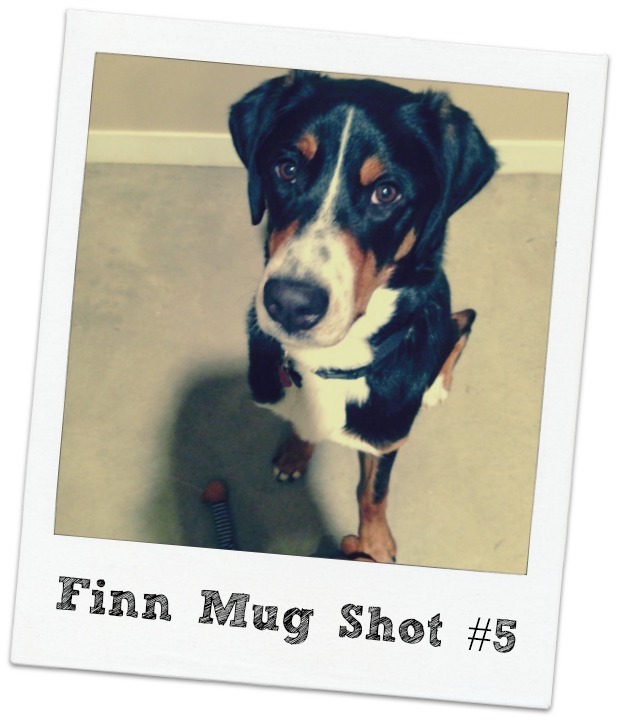 Finn of course trotted right over to the destruction and snatched up a piece within seconds. I managed to get the first piece away from him but before I knew it he had another (larger) one and down the hatch it went. I equate situations like this to dropping a bag of marbles in front of a group of babies. Of course some of the kids will play nicely with the marbles, but it’s only a matter of time before one or all plop those suckers right in their mouth. The moral of the story is that some weeks you’re on track and some weeks you’re not. And that’s OK. Unless you’re eating foreign objects and in that case it’s not. To read more about the fun things my dog eats click here. Otherwise enjoy the weekend and I’ll hopefully have some real food to share for Mother’s Day.